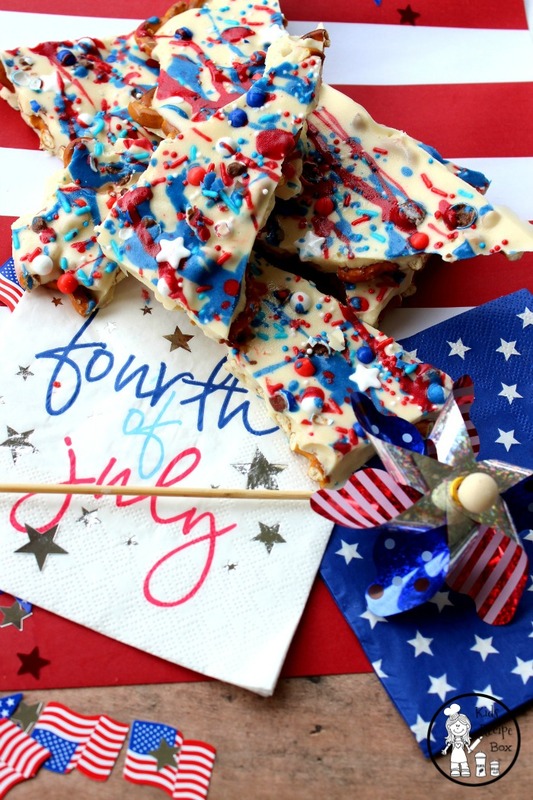 Chocolate bark is one of my favorite guilty pleasures. 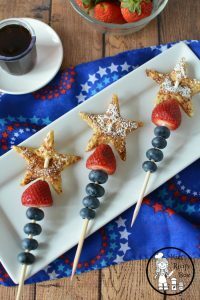 It’s a particular favorite around holidays because it is festive, easy to may, and a perfect finger food dessert. This chocolate bark recipe is all the goodness of chocolate combined with the salty crunch of pretzels. 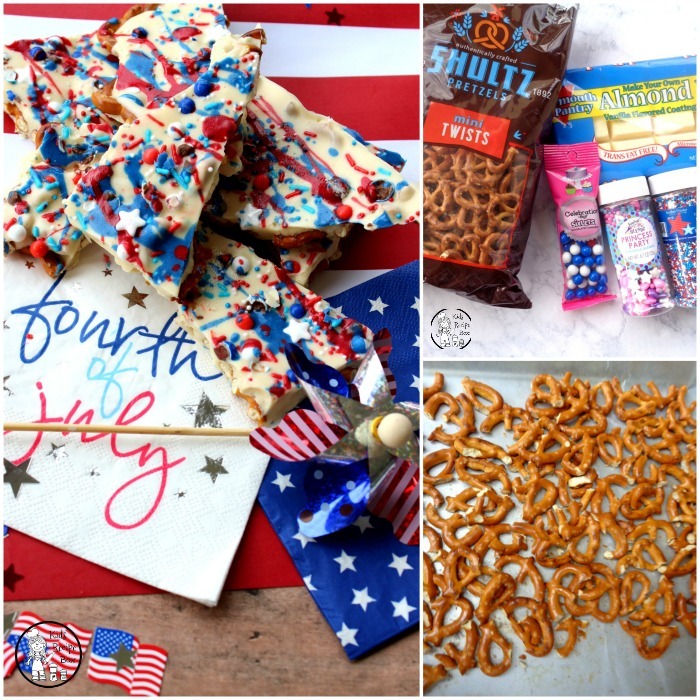 The 4th of July is coming up, so that is our theme with this recipe. One of my favorite activities on this patriotic holiday is the family picnic that we have following the town parade. It is a chance to visit with everyone, hear and tell stories, and just laugh until your sides hurt. The the kids get to throw water balloons, run through the sprinklers and anticipate the upcoming fireworks show. The picnic is also the perfect time to enjoy some delicious food. Of course, my favorite part of the meal is the dessert! This festive chocolate bark would be the perfect addition to the dessert table. It’s bright, colorful, and fun, not to mention delicious. 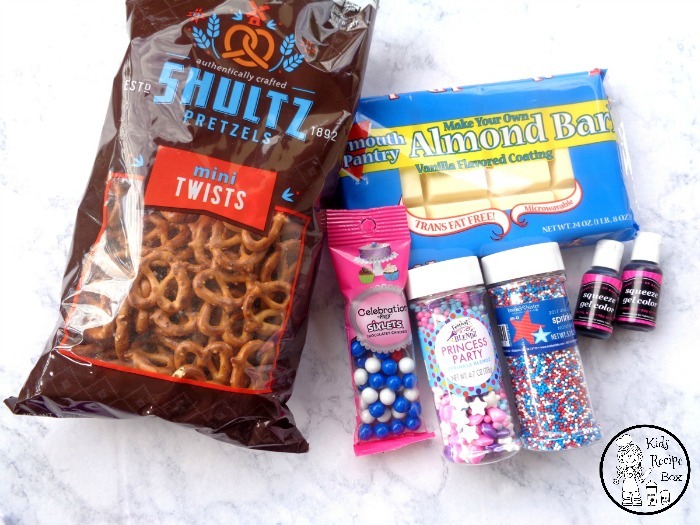 I mean, pretzels covered with almond bark or chocolate is pretty much one of the dreamiest combinations on the planet! The sprinkles are sure to make this treat a favorite of the kids. 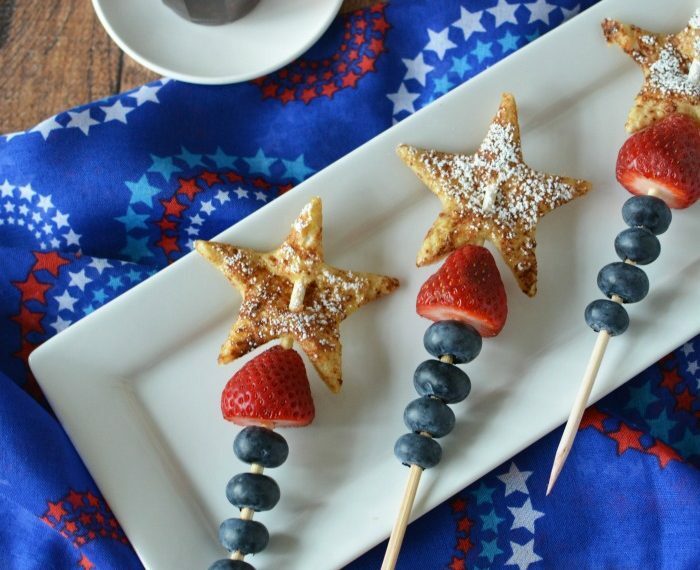 The beauty of this recipe is that it is so simple, the kids can make it themselves! The downside of this recipe is that it will go fast! Be sure to save some on your plate before you set it out or you may be out of luck! After gathering all of your ingredients, you will first melt your almond bark on low heat. 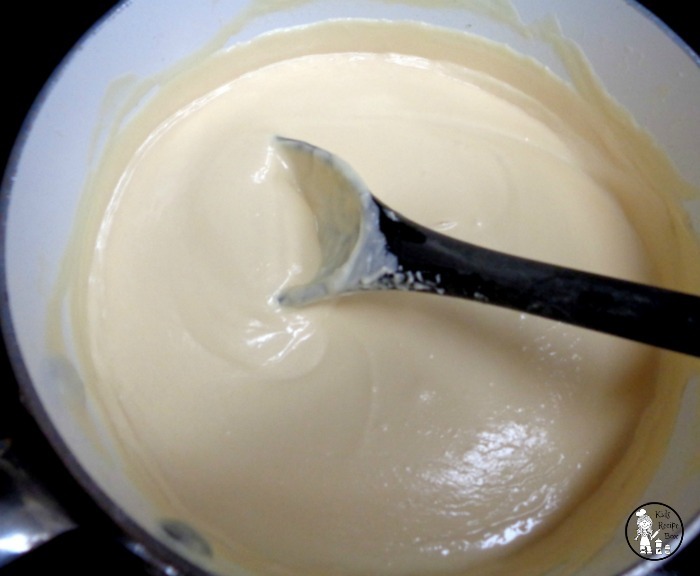 Once the almond bark starts to melt, remove from heat and keep stirring to melt it completely. Add a few tablespoons of almond bark to two separate pans. Dye one pan blue and one red with food coloring. 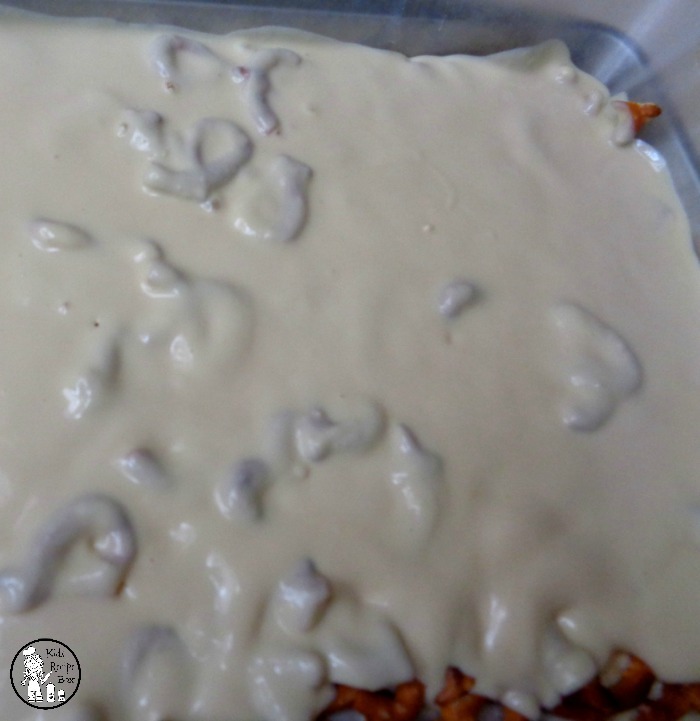 Thin out your almond bark with vegetable shortening if it seizes up. 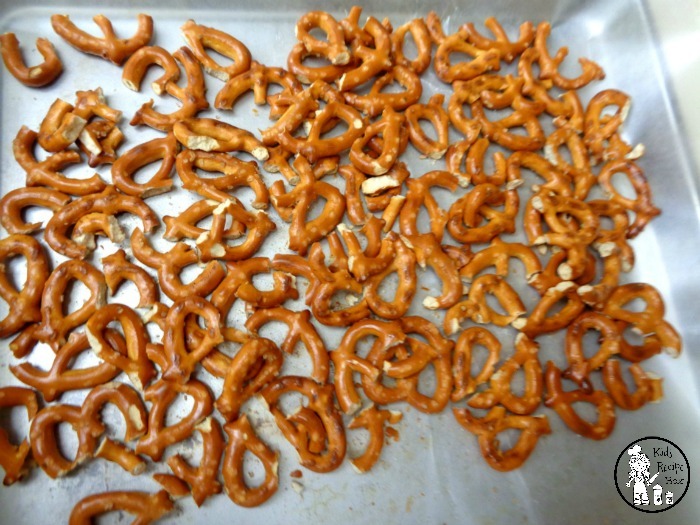 Break up pretzels and line the bottom of your cookie sheet with them. 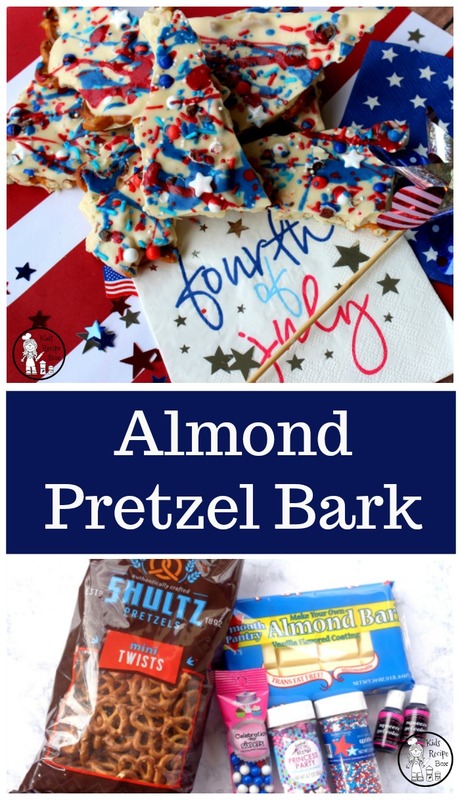 Cover your pretzels with the melted white almond bark. Use a spoon to spread it out if necessary. Dip a spoon into your red almond bark and drizzle across the white almond bark. Repeat with blue almond bark. Add your sprinkles, allow bark to cool completely, break into pieces and enjoy! 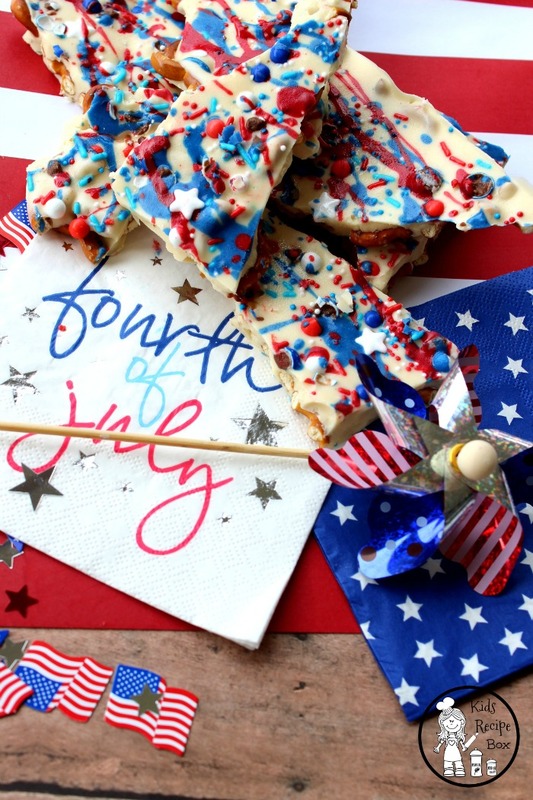 What is your favorite holiday for making chocolate bark? Let us know in a comment below or on Facebook. Thanks for stopping by, and have a happy 4th of July!